Want to become a MEGA CROP distributor? MEGA CROP is a fantastic addition to any Hydroponic Retail Distributor lineup. E-Mail us today to start an inquiry! Compared to equivalent bottled nutrients, MEGA CROP requires 15x less square feet footprint of store space. Also, MEGA CROP can stack by itself without additional shelving needed over 7ft. 1 bag of MEGA CROP can make 2500 Gallons of nutrient solution! Compared to bottled nutrients which may have between 30-50% mark up, MEGA CROP can give the store minimum of 70% mark up, and much higher projected in the future (100%+). We are the direct manufacturer of nutrients so can give direct lowest pricing to Hydro Stores. We will work with you directly to meet your stores need and fit your individual situation, including giving free pallet shipping directly to you within the continental USA! Our website can be configured based on customer location to allow for local in-store pickup option at your business. So the customer can order from our website, and pickup in person from your local store. This helps drive foot-traffic and interest to your store as they may buy other products (like lighting/media/grow equipment) while they are picking up the item. This also keeps customers visiting from your store location over and over to get the best price. 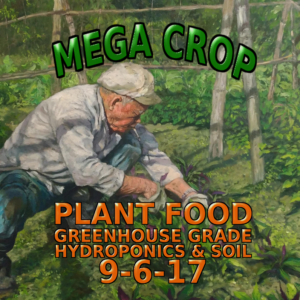 MEGA CROP will give the grower the biggest yields and highest quality harvest, it was designed from the ground up for Cannabis and Hemp specific crops to be the highest quality plant nutrient available. Learn more on the main information page. MEGA CROP was designed to combine 12 separate products into 1. 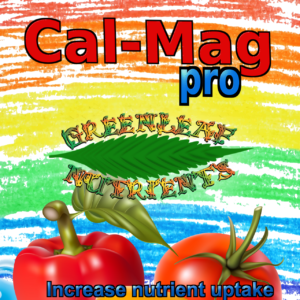 Everything in 1 product makes life easy for the grower, with a very simple weekly feeding schedule. It includes full complete base nutrient formula, Trace Elements, Cal+Mag, Blooming Booster, Amino Acid, Kelp, B-Vitamins, Chitosan Oligosaccharide, Kelp Extract and Enzymes, all in perfect water soluble form. We will work directly with your store or chain to get you started with your first pallet of MEGA CROP for small down payment. You can pay the full amount after you sell the product, or return it for a full refund. We will work with your custom needs to get you started and make sure your business is benefiting.